I don’t usually like croutons. Nana was mad for them, overloading every salad (iceberg lettuce, tomato, cucumber, et al.) she’d make for the crunchiness. I’d politely scrape off the croutons and went on my merry way. Today is Nana’s birthday. She died in 2006, and I miss her very much. She was a spitfire, the life of the party, strong, courageous, and she always did what she wanted to do. She was, and always will be my role model. Today I brought in chocolate-covered cherries, her favorite candy. 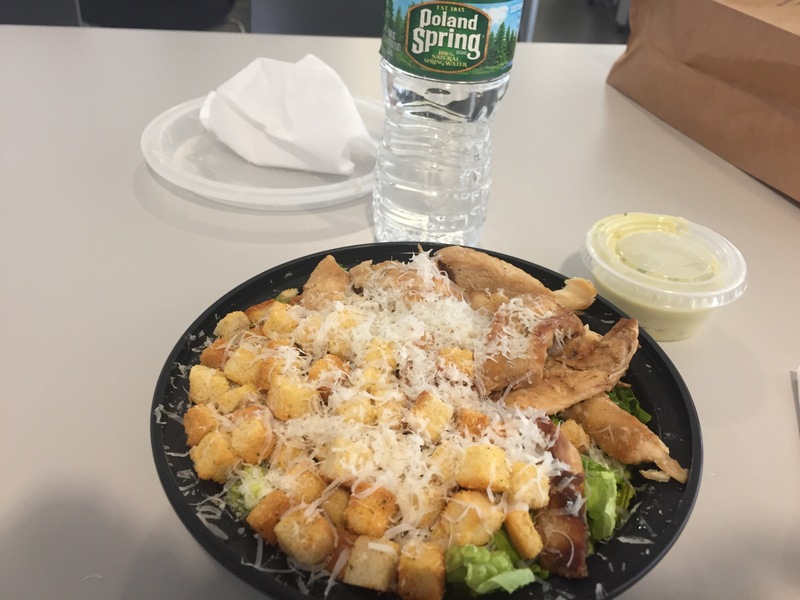 However, much to my surprise today, the lunch special at Don Tapas (good Spanish food) was Chicken Caesar, with an almost metric ton of croutons. Anyway, this salad contains the most garlicky Caesar dressed I have ever consumed in this lifetime. It was good, but very overwhelming. (I need a mint later..) The grilled chicken strips were bland but tender, and the lettuce was just okay. The freshly shaved pecorino cheese was a nice touch. So, I believe that the pressence of so many croutons did help dilute the garlicky-ness of the dressing. Okay then! Happy birthday Nana! Wherever you are (Heaven? Another dimension? ), I hope you’re having a great time. We love and miss you so much.